Goodreads blurb: An emotionally riveting debut novel about war, family, and forbidden love—the unforgettable saga of two ill-fated lovers in Korea and the heartbreaking choices they’re forced to make in the years surrounding the civil war that continues to haunt us today. When the communist-backed army from the North invades her home, sixteen-year-old Haemi Lee, along with her widowed mother and ailing brother, is forced to flee to a refugee camp along the coast. For a few hours each night, she escapes her family’s makeshift home and tragic circumstances with her childhood friend, Kyunghwan. Focused on finishing school, Kyunghwan doesn’t realize his older and wealthier cousin, Jisoo, has his sights set on the beautiful and spirited Haemi—and is determined to marry her before joining the fight. 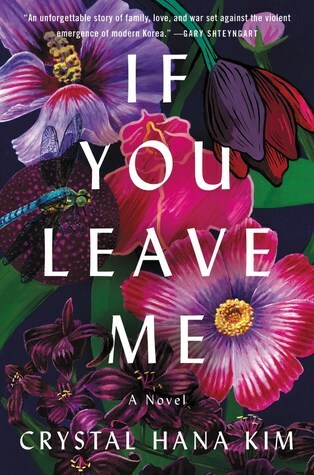 But as Haemi becomes a wife, then a mother, her decision to forsake the boy she always loved for the security of her family sets off a dramatic saga that will have profound effects for generations to come. My take: 4 out of 5. I bought this book on a whim as my next book on vacation. It had just come out, as I saw it recommended in a magazine and it fit my historical fiction love. I didn’t even read what it was about before diving in. And what a great book it was. It is deep and encompasses a family life and drama for over 20 years. Yet, it is not a difficult book to read and works beautifully as a beach read. The characters are relatable but flawed, and their development throughout the book is significant and very well thought out. It is not a happy book, but history and war stories are not, but great story telling they do make. It is a very human book and one that will impact you as to the effect of ones decisions and how it haunts you for life. Do read this book. Goodreads blurb: HER PERFECT LIFE IS A PERFECT LIE. As a teenager at the prestigious Bradley School, Ani FaNelli endured a shocking, public humiliation that left her desperate to reinvent herself. Now, with a glamorous job, expensive wardrobe, and handsome blue blood fiancé, she’s this close to living the perfect life she’s worked so hard to achieve.But Ani has a secret. There’s something else buried in her past that still haunts her, something private and painful that threatens to bubble to the surface and destroy everything. 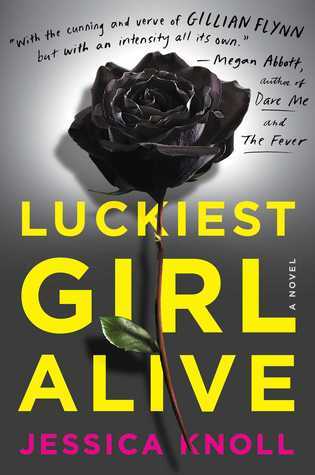 With a singular voice and twists you won’t see coming, Luckiest Girl Alive explores the unbearable pressure that so many women feel to “have it all” and introduces a heroine whose sharp edges and cutthroat ambition have been protecting a scandalous truth, and a heart that’s bigger than it first appears.The question remains: will breaking her silence destroy all that she has worked for—or, will it at long last, set Ani free? My Take: 2.5 out of 5. I was not a fan of this book. I finished it really fast because i just wanted to know what was going on, and solve all the loose ends, but I was not enjoying the process. The main character was complete unrelatable. It was a very deceiving blurb as I really do not think she has a perfect life. I know its meant to be a perfect life as to what people consider a perfect life, but really all f their decisions annoyed me and the world was insufferable because they were not trying to be sarcastic and joke about that society. And both her perfect life and her other face are complete insufferable. It got a premise as it being the new Gone Girl, that it is not. The mystery is there but it is not sufficient intertwined to be that exciting and the reveals fall a bit flat. Also the character is called Ani FaNelli- what is up with the capital N thoughout the book? that was just irritating. Prev Daily Roundup August 13th. Next Daily Roundup August 28th.